See our two-day ride through Southern California with a whole fleet of new Triumph adventure bikes. 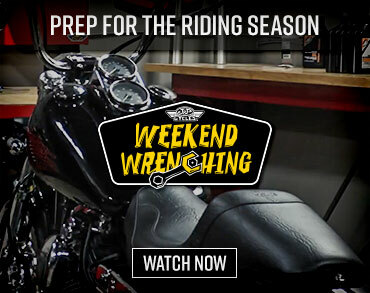 Watch them in action with the 2011 Triumph Tiger 800 First Ride Video. What better way to celebrate July 4th than with a motorcycle that embodies independence. Freedom from the confines of the paved jungle. Liberty to explore any route. Triumph introduced the 2011 Tiger 800 this year after lot of hype around its new middleweight adventure touring machine. As a midsize ADV motorcycle, the new Tiger has a lot to live up to in regards to its intended use and a well-established market competitor in the BMW F800GS. Triumph offers the bike in two versions, one with a street emphasis, and one targeted at off-road. We’ve already tested the dirt-slanted version which you can read about in the 2011 Triumph Tiger 800 XC First Ride and see how it stacks up against the BMW in the 2011 Triumph Tiger 800 XC Comparison Review. Even though the two British machines share most of the same vital components, Triumph invited us to sample the road-going Tiger 800 during a two-day camping trip in Southern California. The Inline Triple powerplant churns out high-revving horsepower and usable torque. should be the same for the standard 800 and it feels identical from the rider’s standpoint. Smooth delivery is the highlight and the Tiger thrives on tight, twisty roads where a rider can push through the six-speed gearbox and keep the engine rpms high. One of the bikes was equipped with an Arrow slip-on exhaust ($800). Riding a slew of machines with different luggage combinations and varying weights made it difficult to discern any performance difference (claimed three horsepower), but we can say that the Arrow is much smaller. It looks as though the weight savings will be significant from the titanium and carbon fiber construction. The 800 uses a 43mm fork compared to the 45mm unit found on the XC. This is one area where we felt some significant difference. The XC (which has 8.7 inches of travel versus 7.1 inches) has a bit more dive to the front end on hard braking, despite the larger-diameter suspension. Preload adjustment on the rear shock is simple with a hand-operated knob within easy reach. We spent virtually all of our time on a machine loaded with some type of luggage, so while the ride height adjustment was nice, we also found that the extra weight starts to add up quickly on the compression damping. Even with only a few articles of clothing in the saddlebags, the Tiger will bottom on sharp impacts such as small water breaks. Jumping is really not something the Tiger wants to do. The 800 has 6.7 inches of travel on the shock while the XC gets 8.5 inches. The XC also has an external oil reservoir and rebound adjustment. Though softly suspended and boasting a claimed wet weight of 462 pounds, it’s still possible to carry a fast pace as long as the rider keeps an open eye for larger obstacles. On the pavement the suspension is fantastic. We latched onto a few faster journalists and our tour guide at the end of our trip to see how quick the 800 is willing to go. Suffice it to say that it was at the top of our comfort level in the twisties. The stock tires (110/80-19 front, 150/70-17 rear) provide enough grip to easily reach their edge and the chassis and suspension are completely up the task, even with luggage installed. The 800 has slightly different steering geometry with a 23.7-degree rake and 3.4-inch trail (23.1/3.6” on XC). Wheelbase is compressed half an inch to 61.2 inches. An Arrow exhaust trims considerable size and weight from the stock unit. Riding the Tiger is a joy with solid build quality and usable features in the rider cockpit. Triumph also makes a wide range of accessories. A 19-inch front wheel is slightly smaller than the 21-inch XC version and the 800 feels a bit more nimble in the paved corners as a result. Front and rear wheels are 10-spoke cast opposed to the wire spoked hoops on the off-road version. This gives it slightly less dirt capability but we were happily surprised by the 800’s competence off the pavement. Our routes never called for extreme dirt riding, but we did get to spend time on smooth decomposed granite which we rode at an elevated pace. The 800 was very stable and planted, and the difference between the XC was less than we expected. There were a few side roads which featured more rocky terrain and this is where the smaller wheel showed some weakness by not holding its line with confidence. We sampled several variations of hard and soft panniers, top cases, dry-sacks and tank bags. The fitment was clean, operation simple and fasteners secure. We only witnessed one small problem when one of the tank bag clasps broke, though several crashes proved to be rough on the extra equipment. Triumph offers crash bars, handguards and skidplates which are the most useful accessories in our opinion. We also liked the fog lamps which cast a decent amount of light. They give the Tiger a macho look and make it easier to spot for oncoming traffic. See the sidebar for a full list of Triumph accessories and talk to a dealer about availability. Brakes are twin 308mm discs up front with Nissin calipers and steel-braided lines. There’s plenty of power in all circumstances. A single 255mm rear rotor is also Nissin-controlled. We had a chance to sample the $800 ABS option and it works on par with other market offerings. The performance on the street is a welcome addition, though it does kick in a little easy for our taste. It would be good to tune it down and allow the rider just a bit more room to push the braking performance afforded by its excellent binders. The ABS system can be switched off for dirt duty. Having the choice is definitely welcome when trying to navigate off-road terrain, but the process is too involved for our liking. The rider has to dig through the electronic menu settings and we never quite got the sequence down pat, though we didn’t have a lot of need to be switching back and forth during our two-day ride. Compared to the BMW system, which features a simple button located next to the rider’s left hand, the Tiger seems overly complex. With dry road conditions and the Tiger’s playful attitude and manageable controls, we actually preferred to leave the ABS off and slide around whenever the urge struck. The combination of chassis, brakes and seating position give the rider plenty of control, even when trail braking. This, of course, would be different if the roads and conditions were less favorable. An adjustable seat height (31.9-32.7 inches) makes room for a wide range of riders and the 800 is generally easier to mount than the XC (32.2-34-inch seat height). The two-piece seat is very comfortable and we expect it to get even better with some break-in time. Weight distribution is very neutral and the handlebars have a decent amount between steering locks, which makes the Tiger good at maneuvering in tight spaces or at slow speeds. Hustling through the paved corners is where the 800 is most comfortable. The upright seating position allows for an unobstructed view of the road and wide handlebars give the rider firm control. Not, however, as much control as the XC version, which uses handlebars that are wider (31.3” vs 34”) and slightly taller. The difference is very noticeable and a rider needs to consider their needs. For splitting lanes the XC is uncomfortably wide, however, getting sideways on the dirt is much more controllable and it’s easier to stand up on. The 800 is a bit quicker to flick from side to side. Much of that is in the smaller front wheel, but the narrow bars also help keep the rider’s hands in closer. The narrower bars don’t suffer much in the dirt, but we did find them to be a disadvantage on extremely rough, twisty pavement. We also noticed a bit of wobble on occasion at high speeds. One of the biggest issues is that It brings the mirrors in closer together and puts more of the rider’s shoulders in view. We’d like to bolt on a set of XC bars to the standard 800. The handlebar mounts are reversible though we didn’t experience much of a difference between the two settings. Overall the Tiger 800 is an impressive motorcycle with an easy stance, comfortable ergonomics, powerful engine and high-level build quality. The XC version is nice for more serious terrain, but the standard 800 can go virtually anywhere its off-road sibling will. There’s a styling difference between the two models and the 800 can be retrofitted to accept the stubby front fender and handguards which give it the same XC aesthetics. Smaller wheels and suspension make the 800 a bit easier to appreciate on the pavement, especially for shorter riders, and the retail price is slightly lower as well at $9999 for the base model.